Located across from the Florence Mall and next to H.H.Gregg on Mall Road, our Florence Superstore has it all. Store manager Denise Burkhardt brings years of service and experience to meet your every need. Our Florence location also features a 24 track digital recording studio and performance center in addition to the John Thompson Lesson Center and Cook Instrument Repair Center. Employment benefits include healthcare, 401K, paid vacations, life insurance, and opportunities for advancement. For information about employment opportunities, select “Employment Opportunities” on our contact form. Musicians-want to make your cd for FREE? https://willismusic.com/wp-content/uploads/2018/05/Willis-Oval-and-Piano-Logo-2.png 0 0 Bill Phipps https://willismusic.com/wp-content/uploads/2018/05/Willis-Oval-and-Piano-Logo-2.png Bill Phipps2013-02-18 13:08:352013-02-18 13:08:35Musicians-want to make your cd for FREE? 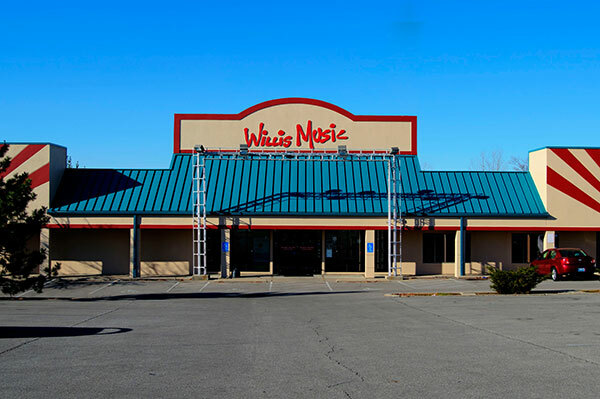 Did you know that the Willis Music Superstore in Florence KY has a recording studio? https://willismusic.com/wp-content/uploads/2018/05/Willis-Oval-and-Piano-Logo-2.png 0 0 Bill Phipps https://willismusic.com/wp-content/uploads/2018/05/Willis-Oval-and-Piano-Logo-2.png Bill Phipps2013-02-15 13:40:042013-02-15 13:40:04Did you know that the Willis Music Superstore in Florence KY has a recording studio?